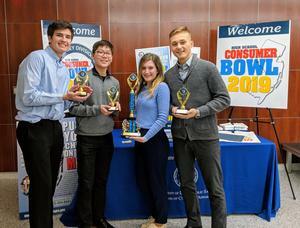 The New Jersey High School Consumer Bowl is an educational competition for high school students across the state meant to educate young adults on a variety of consumer and business issues. 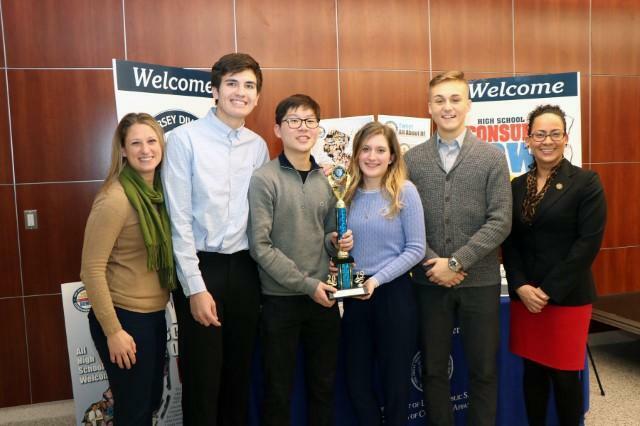 The competition took place on Tuesday January 24, 2019 at High Tech High School in Secaucus. 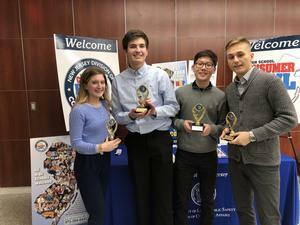 The Hudson County Teams that participated were Secaucus HS, High Tech HS, McNair Academic Dickinson HS. 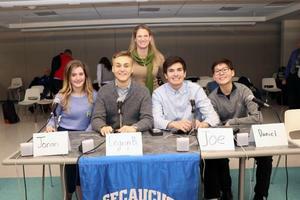 and North Bergen HS. Our Secaucus team defeated McNair Academic High School (Jersey City) in Round 1 and went on to defeat High Tech HS (Secaucus) in the Finals. This year’s team consists of Captain Janan Lacka, Ergen Banja, Daniel Youn, and Joseph Webster. The Business Club/Consumer Bowl advisor is Ms. Alexis Chisari, Business and Technology Teacher at Secaucus High School. 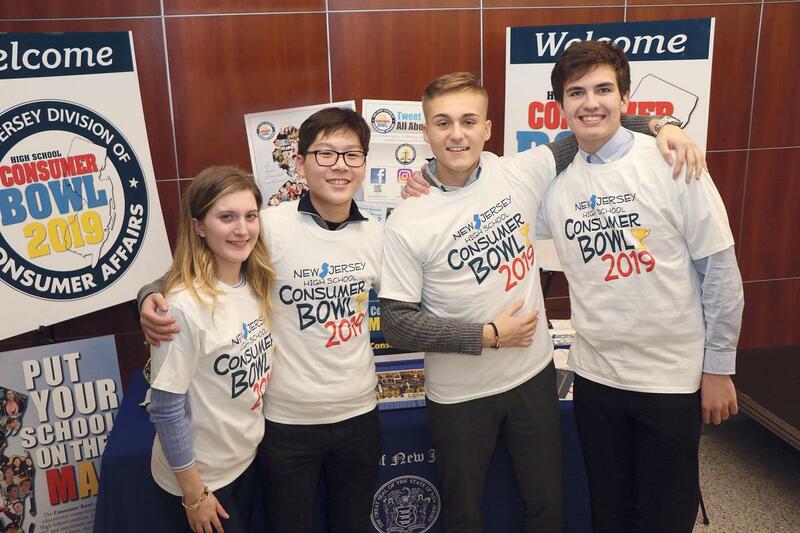 To find out more about the Consumer Bowl, please go to www.njconsumeraffairs.gov.